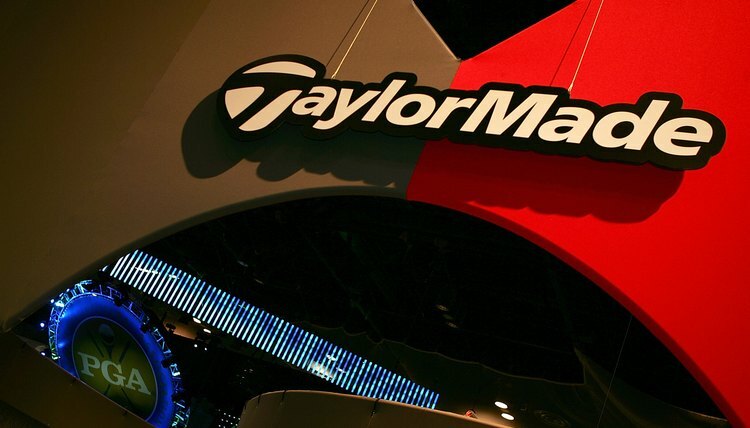 TaylorMade is one of the companies that makes a draw iron. Golf manufacturers introduced what they termed “draw” clubs in 2006, beginning with a driver, then following with irons (3 through 9), along with fairway woods, hybrids and wedges. Some of the early draw irons were well-received and earned gold medal status on “Golf Digest’s” annual equipment Hot List in 2007. PGA.com’s golf glossary defines a draw as “a shot that flies slightly from right to left for right-handed players.” This is a shot that players may use for a variety of reasons. In the context of golf clubs, however, “draw iron” also refers to a club that will help eliminate a slice – an unintentional left-to-right curve – according to PGA Tour.com equipment writer Chuck Stogel. Draw irons place more club head weight than usual toward the club’s shaft, according to PGA Tour.com. This technology lightens the club’s toe -- the portion of the club head that’s farthest from the shaft -- while adding weight to the heel, near the club’s shaft. Stogel notes that certain draw irons also feature “a maximum degree of offset,” meaning a greater distance between the club’s hosel and the club face’s leading edge, according to PGA.com. Some more recent draw irons feature what manufacturers typically term “adjustable weighted technology,” commonly known as movable weights, so golfers may adjust each club's center of gravity to suit their swings. The weights can be added or removed according to the player's desire, so he may, in effect, create his own draw iron. As USA Today notes, "for golfers who have a tendency to hit slices, the weights go in the heel" of the club head.